Through our DoloresChili.com website we get requests from across the country from nearly every state in the union! Here’s a small sampling of the comments we receive by email! To add one of your own, contact us. I would like to find out how to order your Chili Brick®. I am in Alaska and I got some from a friend that was from California. They are no longer available so I wanted to order some for myself. Do you ship to Anchorage, Alaska 99504? If so, what the cost for 1 case of Chili Brick® to included shipping cost? I was on your website, and my mother used to use a Chili Brick®when we were little and growing up (circa 1962 thru ?). I am 57 now, and trying to find Chili Brick®. The grocers don’t seem to know what I’m talking about. She would always use the chili (bought frozen) and then add to it. There were 11 in our family. Could you help me? On a recent trip to Las Vegas I purchased about six packages of Chili Brick®. This product is very similar to the chili I was able to purchase many years ago manufactured by another company. I use this product in many of my home cooking recipes. 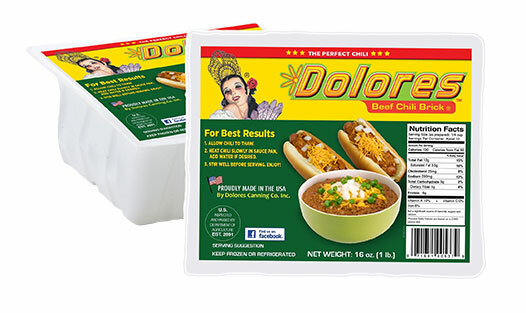 Since I purchased your product at a Food 4 Less store in Las Vegas, I was prepared to purchase the Dolores Chili Brick in Phoenix, Arizona (where I live). To my surprise, Food 4 Less has closed all of their stores in Arizona. I was wondering if I could purchase a case of Chili Brick® directly from you. I’m originally from Pasadena, CA and moved to Too Hot Tucson, AZ four years ago and have only found your delicious Chili Brick® here once. I tried looking for your product at the Albertson’s store here but it can’t be found. Can you please tell me where I can find your chili out here? Because these people do not know what REAL chili is without Chili Brick®. PLEASE HELP. Hello Dave, I moved from Southern California to Chandler, Arizona and cannot find the Chili Brick® anywhere. Can you help me? I live in Peoria, AZ. Where can I find you product? I live south of Tucson and I have visited the stores you have listed and I can’t find Chili Brick® to buy. Got any suggestions? I took my brother with me to pick it up earlier today. He is a captain in the fire department and he and his family will be trying it out this weekend with us. If he likes it, he will cook up some for his crew. I learned about your product earlier this week at a conference up in Las Vegas. I was talking to a southern California chef about Tommy Burgers and he said that the Chili Brick® was the closest that he had come to matching their chili. Since we won’t have a Tommy’s in Phoenix for at least two years, I thought that I would try your product out. Wow! Was I surprised! Yours is SO MUCH BETTER than Tommy’s Chili! Congratulations on a great product. I am ordering some more now. How may I buy your Chili Brick® in Arizona? I live in Huachuca City, which is about an hour’s drive south of Tucson. I’m inquiring about your Chili Brick® in Phoenix, AZ area. What stores carry your product? 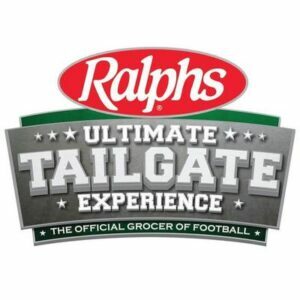 We have a ranch market also Albertson’s but can you give me the location of which stores. Where can I buy your Chili Brick®? I am in Palm Desert, CA. What store can I buy the Chili Brick® at in San Diego? We have been using your Chili Brick® on our hot dogs for a few years and find it to be the best hot dog sauce we’ve found since leaving Toledo, Ohio. There is a chili hot dog restaurant there called “Rudy’s” that’s been in business since before I was born. I was born in 1938, don’t tell anyone! At any rate, their hot dog sauce was not to be beat! We’ve tried every chili sauce known to try to duplicate that taste and none came close. Chili Brick® is even better than Rudy’s and that’s a great compliment to your brand by our standards. This morning I took Chili Brick® out of the freezer to thaw for lunch on some hot dogs. I noticed your website address and went on line. I am seeking information in regards to possibly placing an order for some Chili Brick®. We are a new deli to be located in El Centro, and are currently looking for a chili sauce for our hot dogs and nachos. We are also looking for pickled pork skins. I would like to find the number of the nearest distributor. I live up in the San Francisco Bay Area. Are there any stores in this area that sell the Chili Brick®? Thanks for your help. 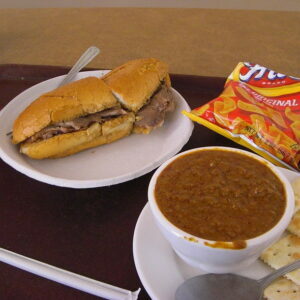 I had your Chili Brick® at Philippe’s in Downtown L.A. and I am interested in using it at my hot dog stand in La Canada. I would like some information. Hi, I can’t seem to find the Chili Brick® anymore (here in Riverside County, CA (Moreno Valley Area). I’ve been to Stater Bros., Food 4 Less, Albertsons…who has this Chili brick…I really love this brand of Chili Brick…please help!!! Thanks and God Bless. I recently went to Philippe’s in downtown Los Angeles and had yet another bowl of straight chili, when I noticed on the wall that Chili Brick® is proudly served there. I am very interested in purchasing your chili on a retail level. I looked up your website and found that I could purchase your chili at Von’s, where I normally shop. To my dismay I could not find it. I’m hoping you can help me. Where can I find it near me? I Live in La Verne, CA and my zip is 91750. Can you tell me where my nearest retailer is of your fantastic product? I would appreciate any help you can give me. I Love your Chili!!!! No stores here in Denver carry your Chili Brick®. I desperately need one, none of Albertsons carry them. Where can I buy them or can you ship me two? Is this available in Denver or Boulder Colorado? We grew up eating chili made with your Chili Brick® when we lived in Southern California, and we have not had good chili since…We would love to be able to get them locally but have been unsuccessful in finding a local retailer that has your products. I recently moved from Oakland, CA to Washington, DC. I have been buying your Chili Brick® at Smart & Final in Oakland …do you distribute your product in the DC area? I am originally from Compton, California. I now live in West Palm Beach, Florida, but when on vacation in Compton I always enjoy Chili Brick®. How can I get it here in West Palm Beach, Florida? We live in Longwood, FL close to Orlando, FL and cannot find your brick chili in any of the stores. Do you know of any stores in this area that carry the brick chili? I live in Clearwater, FL and we have many Albertson’s here. How can I get some of your brick chili here? We’ve moved to ORLANDO, FL. Is the Chili Brick® available anywhere here? Is there a grocery store in Atlanta, Georgia that has Chili Brick® or how would I go about ordering it? Can you please tell me if Chili Brick® is sold in the Norcross, Georgia area? Thank you !!!! I live in Atlanta, GA in the 30319 zip code. I am from Los Angeles and would like to find a store that sells the Chili Brick® in Atlanta, GA. I re-located to Atlanta, Georgia from Los Angeles & I cannot locate Chili Brick®. Is there a way I can order it and have it shipped? I moved to Atlanta, GA from Los Angeles and cannot find my favorite Chili Brick®. I hoped I could order online. Please let me know how I can order some. I live in Georgia but have used Chili Brick® whenever I made chili in the past when I lived in California. How would I go about buying Chili Brick® now!! Do you have sales in this state also? sure hope you can ship to Hawaii, you have no idea the response to this news when I told my children, who reside in Hawaii. The only local chili they have there which is HUGE to the Island is “Zippy’s” and I can say for myself “NO COMPARISON”..OMG…….you have made their day, and ended their year with a BANG..!!!!!!!!!!! I’ve been out of California since 2006 and haven’t had real chili since, they don’t carry your brand on the island so this is a way for me to introduce some real chili, real flavor to the island of Oahu… Thank you so much for this awesome end to 2008… Thank you soooo much. I can’t stand it any longer. I’m having chili withdrawal! Send 5 lbs of the Chili Brick® ASAP. Call if you need my credit card info. My sister lives in Maui, Hawaii and she is originally from San Diego, CA. When I went to visit, we looked everywhere for Chili Brick® but couldn’t find it. They have Costco, Safeway, Foodland and other stores on the island but no Chili Brick®. Is there a way to order a case and safely overnight the product so that she can get some? GOOD MORNING, MY SON LOVES YOUR Chili Brick®, BUT IS STATIONED IN HAWAII, DO YOU SHIP TO HAWAII? THIS IS THE ONLY STORE BOUGHT CHILI HE KNOWS. HE CAME HOME THIS WEEKEND AND SAW DOLORES IN THE FREEZER. NEEDLESS TO SAY HE WANTED MINE. HE IS ON A SHIP AND DIDN’T THINK IT WOULD MAKE IT BACK. I have had customer requests for the Chili Brick® and would like to locate someone who can sell it to me. This item appears to be carried at our Food4Less California stores as Food4Less is listed on your website as a retailer that carries your products. Please advise ASAP. Is it possible for an individual to purchase smaller amounts of your product? I have been looking for Chili Brick® but only need enough for my family – not 40 pounds worth. If your sales are retail only are there any stores in the Westminster, Maryland area where your product is sold? None of your retailers are anywhere near me in Silver Spring, MD…is there any other way to purchase? Can we buy this in Missouri? Specifically any place in Columbia, Jefferson City or Fulton? I live in the Midwest and do not know where to buy your Chili Brick® from. We used to use Rice’s chili and apparently they aren’t making it anymore. Do you know of any way I can get your Chili Brick® in the St. Louis area?? I moved from California a few years ago, and have not been able to find your Chili Brick® in any of my local stores. Can you help? I am in Kansas City, MO 64119. I have used your product for years, and miss it dearly. Is there anyone that sells the Chili Brick® online that will ship….my coworker just loves it and they no longer carry it here in any of the stores in her area of Missouri….any information would be helpful thank you very much…..
Do you deliver to individuals and what are the prices? My grandmother is in MN and cannot find a Chili Brick® anywhere. She’s been asking me to help. I found your company online and would like to have some sent to her. Thank you. I live in Omaha Nebraska. Please tell where I can buy your product. Can you tell me if your product is carried by any retailers in or near the Reno Nevada area? It has been quite a while since I last contacted you and made the order for some Chili Brick®. We ran out some time ago and haven’t gotten around to ordering more. Are there any stores in the Albuquerque, NM area that carry your chili bricks? If so would you please reply and let me know what the store names are. I would appreciate it. The family has been after me to purchase some more chili bricks and make some more home-made chili! There is a Smith’s store and an Albertson’s store in Los Lunas, NM. I haven’t seen that they carry Chili Brick®. I would certainly drive to Albuquerque or even Santa Fe, NM to buy some. If not, then I would like to order some from you directly as you did before if that is still acceptable! I believe that I ordered a case of 32 Chili Brick® the last time and you were able to send it second day air. That worked out fine. I live in Albuquerque, New Mexico. I am unable to find your products in the stores. Perhaps you can tell me how to purchase Chili Brick® on line or in a market here in Albuquerque, New Mexico. I’ve heard so much about these Chili Brick® and would like to buy a few for home use but do not know how to go about ordering this product since I live on the east coast. Is it possible to purchase a hand full of Chili Brick® and if so, how do I go about purchasing the bricks? I am inquiring as to how you would pack your Chili Brick® to ship UPS ground to North Carolina. It seems to that during the shipping time the Chili Brick® would spoil. I moved to Fayetteville, NC from L.A. in March of this year. There is no Chili Brick® here. I wrote to some one before I don’t know if that was you. They said that I might be able to get a case or so if I paid for the shipping and special handling. Could you get back to me on this matter? This is the second time that I’m writing you. Thanks in advance. I was born and raised in LA and moved to Raleigh, North Carolina a couple years ago for work. Is it possible to have some chili bricks shipped? They don’t have chili here like back at home. I have recently moved to Worthington, OH 43085, from Los Angeles, CA and I am having trouble finding Chili Brick® anywhere in Worthington. I want to help my sister find your Chili Brick® in her area. She lives in Painesville, OH, in the 44077 area code. I served her some of this product over pasta with onions when she visited me here in Las Vegas. I froze a few blocks to smuggle into Ohio in her luggage. Now she has run out of this great product and she just hasn’t been the same. She needs a Chili Brick® fix real bad. Can you help? I will forward your reply to her. Hello, because I live in Los Angeles I’ve been blessed with the ability to be able to purchase your wonderful chili. When I had visited my relatives in Columbus, Ohio I made sure I took a sample of your Chili with me (THEY LOVED IT ! ! !). From that point forward I’ve got a great deal of people calling your Chili Brick® “West Coast Chili”, and that’s true , because the only name brand Chili they know of is called “Skyline Chili”, but it will never taste as good as yours. What I need to know is, is it possible to have your chili shipped to Columbus, Ohio? I would pay the cost from here and you would ship it to my wife’s residence? Please let me know, because it’s something I had promised I would try and do. 40 years ago I bought Chili Brick® at my local store in the San Joaquin Valley. I never forgot how very delicious it was and found your webpage. I have never been able to locate Chili Brick® in Oregon. I would like to place an order for your brick chili. Please let me know the smallest quantity and shipping costs. Looking forward to hearing from you. Are there any stores that sell your product in the Portland, OR or in Vancouver, WA area? Thank you. We live in Salem, OR. My husband drives truck and has hauled product out of your business. He has brought home Chili Brick® on rare occasions and we would like to have more as it is very good and convenient. We are wondering if there are any stores in our area that stock this product. He drives Portland to LA so can sometimes get to groceries there but we are not sure where to find the chili brick. Do all the branches of the stores in southern CA listed on your web site carry it? Is there somewhere in Charleston, South Carolina where your Chili Brick® may be purchased? I’m currently living in Dallas, Texas and would like to find a location where I can get Chili Brick®. Hi we live in Texas (Houston area) and my husband was just telling me how much he loved brick chili as a kid. Could you tell me where I could buy it please? I LOVE THE Chili Brick® AND I USED IT WHEN I LIVED IN CA BUT I NOW LIVE IN AUSTIN TEXAS AND ONLY GET IT ON VACATIONS. OR MY MOM BRINGS ME SOME WHEN SHE VISITS BUT NOT OFTEN. I USE IT TO MAKE MY BURRITOS. SO GOOD !!! I live in Dallas, TX and have searched high and low for this product and cannot find it. Can you direct me to a source that I can purchase this in Dallas or on the Internet? 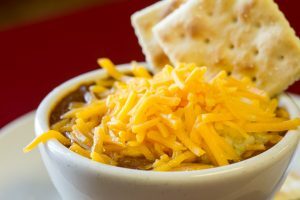 Where in Houston, Texas can I purchase your brick chili? I would like to know if your products are available in San Antonio, TX. Which stores do you distribute these products to in my area. I am located in Plano, Texas 75024 (Dallas area). I would really like to purchase these products soon. Thank you for your prompt response. I was wondering where I can purchase your Chili Brick® in Texas. I live in the Dallas area. Thank you so much! I have been eating this chili forever. I just moved from California to Texas and was heart broken when I was unable to find it out here. I just came from California from visiting my family. I made it my duty to buy 8 bricks before coming home. I was hoping you can try and sell your product out this way. I said I will give Texas a try and taste the Texas Chili brand chili and I have to say that is the saddest chili I have ever had. I hope you can sell your product down this way. I really think you can have a big come up when the Texans get a taste of this Chili Brick® out here. Once again keep up the good work. Hi I love your chili. I spoke to someone there years ago & lost contact. I would love to order some chili. It’s not sold here. Thanks. Where in the Fort Worth, TX area is the brick sold? COMMENTS: I used to live in California (Los Angeles that is)…I bought your Chili Brick®all the time and loved it. Now I’m living in El Paso, Texas and your Chili Brick® is nowhere to be found. How can I get some of your good tasting Chili Brick® here…I just love it. All they have here is canned chili which I do not like, it tastes awful. So, how can I get some here? P.S. Can I hear from you ASAP? I have a 92 year old father in law who wants me to find a chili brick. He used the brick in the 60’s and 70’s to make chili quite often. I do not know where to find any. I live in Salt Lake City, Utah. I would be happy if you could give me any help in finding a chili brick for him. Thank you. I am formerly from Southern California. I moved to Vermont and I cannot find a source for chili brick. Are there any stores that sell your products in the northeast? Is there an online source? Please help! I would like to order 4 Chili Brick® for home use. Can’t find in my area! I just moved from California to Spokane, Washington and I cannot find your chili anywhere. I want to know if I can get it shipped to me. Where in Washington State can I find your products?????????????? I didn’t think anyone made chili bricks anymore. My Mother used to buy them at the butcher stores in Northern California many years ago. Thank you so much. I live in western Washington and am interested in finding the Chili Brick® she was younger and loved it, but she hasn’t been able to find it. I can’t find your chili anywhere I live and the chili tastes better when you use a chili stick/brick. The type I used was by another distributor and they no longer make it. So I need some. How can I purchase from you? Hi I live in Medicine Hat, Alberta – Canada. I was wondering if you deliver here at all from Los Angeles. I used to live in East Los Angeles and loved your product. I was wondering if you deliver to Canada. Me gustaria saber de precios de los productos marcados soy un comprador de estos productos en otras marcas y quiero saber que es lo que me conviene yo vendo en los suappmets ojala contesten en mi correo electronico gracias. I am sourcing out Chili Brick®for a supplier for local distribution here. I have been to LA a couple of years ago and since I got back I haven’t found any supplier here in Manila. I think they would go well here in the Philippines. Hope to hear from you soon. Please send information on your Chili Brick®. I reside in London, England and am curious if you sell product overseas. Can you ship to me here in the UK?